Clinical trials are how we find out if our treatments work. They are fundamental to the debates over psychiatry. 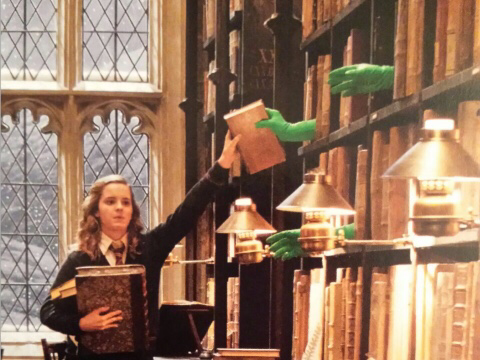 They are the evidence for the profession’s effectiveness, and instruments for its improvement. Understanding them, what their results mean, and how much they are to be trusted is therefore a fundamental skill, not just for professionals, but for service users trying to “open the hood” and see how and why the treatments they were recommended gained credence. They also reveal why diagnosis is so essential to making progress with treatment. 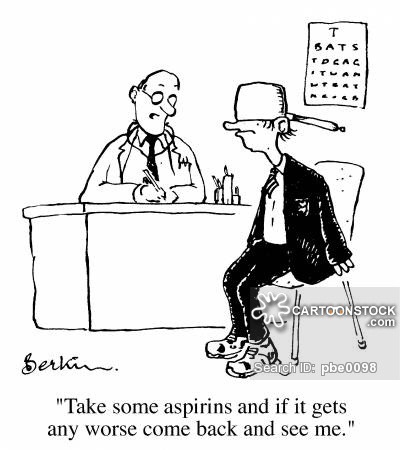 This blog is therefore my attempt to demystify clinical trials sufficiently to allow people to begin to make sense of them, particularly now they are becoming increasingly available openly. As with all my blogs, I’m going to try to keep my language as non-technical as possible, while not simplifying the issues involved. To do that, we first need to tackle maths phobia. 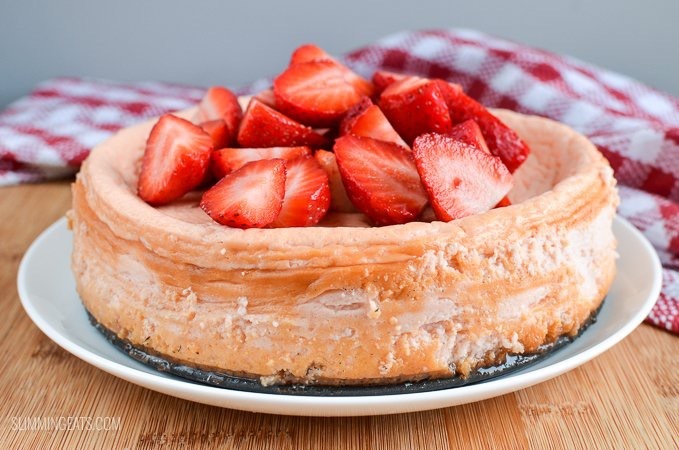 If recipes tells us how to select and process ingredients to get a result, mathematical formulae tell us how to select and process numbers to get a result. The wonderful thing about numbers is that they can be used to represent anything at all, so we can do far more with them. In clinical trials, our first task is to try to represent ourselves, because we want the treatments to work on us, not somebody else. We cannot avoid assumptions: trying to make none eventually leads to solipsism. The iid in the assumption we have to make stands for “identical and from identically distributed populations”. Though it sounds a bit repetitive, it isn’t. 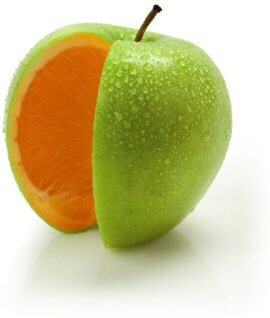 Here we can see two different populations; apples and oranges. So, the first i is an assumption that whatever we’re looking at can’t be divided like this. 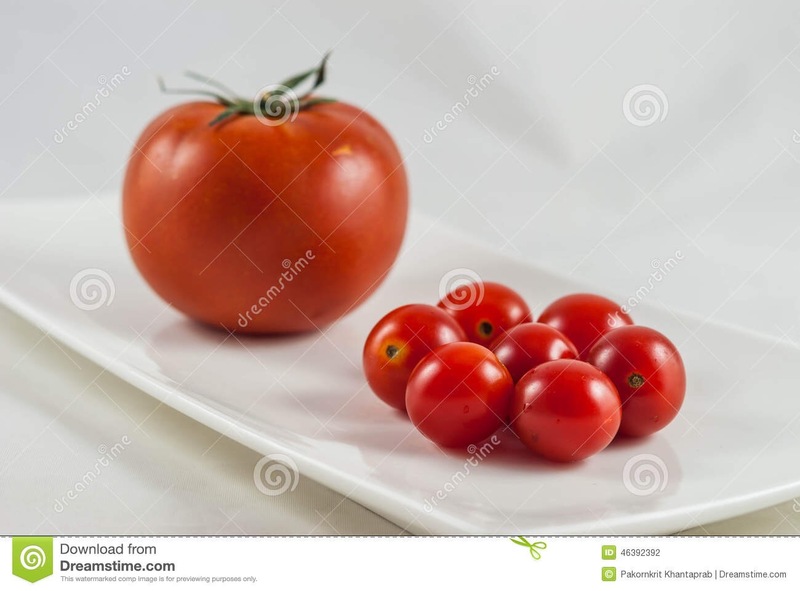 Everything in the picture above is a tomato. So, they meet the first i criterion of our assumption. The obvious difference we see results from them breaking the id part. The the big and little tomatoes come from groups with different average sizes (and, if we look carefully, colours). So, their two populations do not have identical distributions for size and colour. It’s also important to notice that iid is a decision we make, not a property of things in themselves. Take our first picture, of apples and oranges. If we were talking about fruit, then the picture would be iid, because we’ve blended the apples and oranges together. 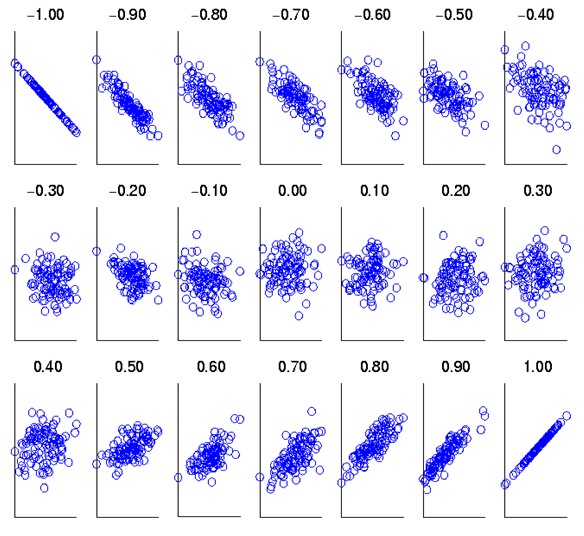 Apart from being fun, the picture above also warns us that distributions are harder to understand than simple categories. We need to look at them in more detail. A population: that’s just a group of things. Quite literally, anything will do. A dimension: some quality every population member has, but to a different extent. We are going to assume that the dimension can be measured using an interval or ratio scale, as described in my previous blog. 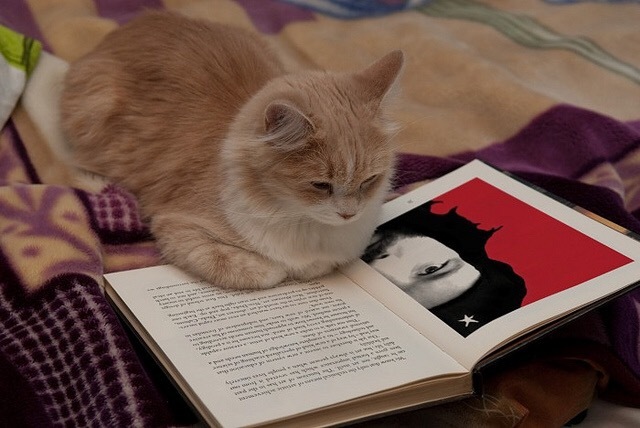 If you don’t want to read the blog, it’s a scale that works like an ordinary ruler. A measure: something that can tell us when the population members differ on the dimension. We use our measure on our population, and it gives us a range of different results, as we expect. The set of results (or values) we get is called a variable. Using our values, we can now arrange our population along our dimension. All nicely arranged. Yay! We made it! So, measuring an iid population with a good enough measure will result in a normal distribution of values, assuming the measure is at least an interval scale. The second reason relates to sampling, which I talk about next. God has the time, resources and immunity from boredom to fully measure iid populations. Fancy measuring every hair in Longfellow’s beatd? We do not. Fortunately, the iid assumption gives us an escape clause. Because all members of our iid population are the same, measuring the whole population won’t give us different information to a subset of it. So, we can sample. Sampling will, however, increase our measurement error, and unless we can say by how much, we’re stuffed, as the population distribution needs to be inferred from our sample. Fortunately, as our measure generates a normal distribution, this is estimable. If we look back to our drawing of the normal distribution above, we can see that we already know the proportion of our population in each part. If we know where the middle of our distribution is, and how widely it spreads, we can work out the rest. These quantities are called parameters. We already know how to calculate where the middle of our distribution is; it’s the average value (mean), obtained by adding all the individual values up and dividing by the total number of values we used. μ = Σ(x)/n where Σ means “add up all the x’s values”. 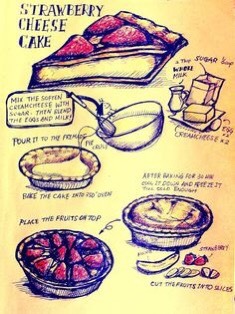 Yes, it’s a recipe. By analogy, our estimate of the width of spread is also a kind of average, though we call it the standard deviation. 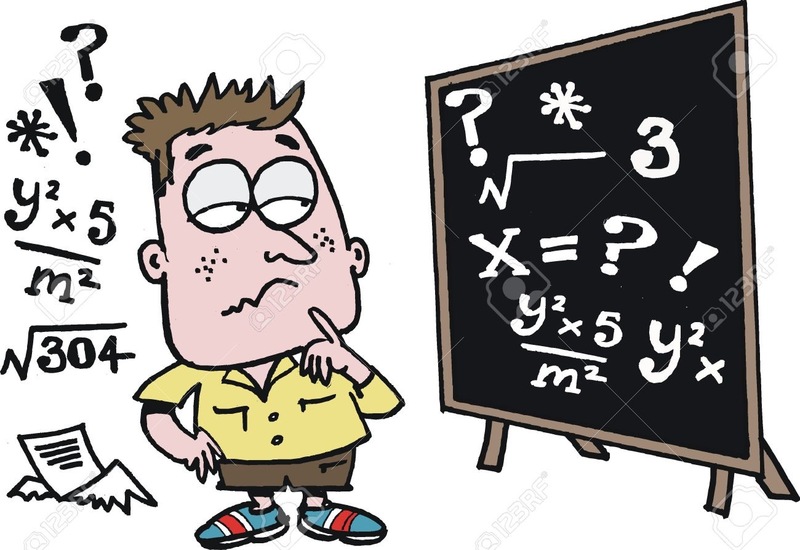 It’s calculated by subtracting the mean from each value, squaring them (which stops them adding up to zero), adding them together, dividing by the total number of differences we used, and then taking the square root to get us back to our original scale. The first two ways are simply a repetition of its previous appearance, with the scale revealed as being measured in standard deviations. The third way is a scale of cumulative percentages of the population at and below the scale value. However, thanks to the iid assumption, that is the same as the probability that a member of our population will have a score of that value or less. This means we can comment on either how typical the member is of the population as a whole, or, equivalently, how likely they are to be a member of our population, assuming we can trust our measure. The fourth way points out that we can as easily tick our scale using percentile as standard deviation units, if we don’t mind an ordinal scale, while the fifth shows that there are ways of adjusting the differences between different centiles so that scale can be rendered interval once more. Our recipe for the standard deviation has another trick up its sleeve. If we leave out the square root stage, we end up, unsurprisingly, with σ², which turns out to be far more interesting. We call it the distribution’s variance. If we think back far enough in our education, we remember that squaring was called that because it defined a square. 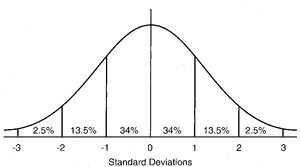 For that reason, the variance measures the area under the curve of our normal distribution. Now, remember that curve is the result of how our population are stacked along our dimension. That means the area below it has all the possible information our distribution can give us, which the variance has neatly summarised into a single value. Furthermore, our drawings show us that that we can slice the variance into chunks, which allows us to make attributions to different amounts of it. This allows us to judge how how much of the variance might be accounted for by an attribute. We have something that can potentially tease out cause. Getting the sampling right for a clinical trial is just as important as for a survey, follows the same process, but aims to collect a very different sample. We are seeking a representative sample of an iid population. However, as we have seen above, what we are going to call iid is down to us. 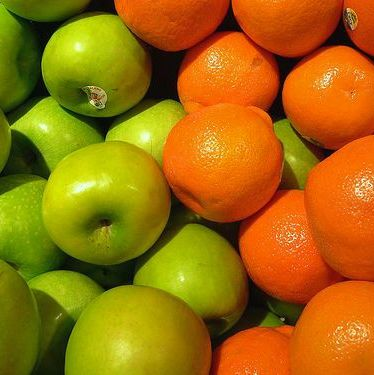 We might have good reason to want an iid sample of fruit, as opposed to one of apples and one of oranges, but clearly how we need to sample “fruit” will be very different to sampling “apple”, and interpreting results from an apple-orange combination that doesn’t really exist could cause us problems. What kind of iid decision should we make for a clinical trial? Step up, diagnosis, and take a bow. There is a whole science (epidemiology) devoted to understanding populations of diagnoses. In a clinical trial, the symptoms that make up the diagnosis are the target of our intervention. Using diagnosis gives us a credible iid population to sample (in the diagram above, it’s our sampling frame). Because the diagnosed population is iid with respect to diagnosis, we can simply collect as many diagnosed cases as we need, and be confident our sample can represent the diagnosed population (in real life, things aren’t quite like this, but we’ll come to that later) We can now define the basic question our measurement needs to answer. Does receiving a treatment stop a population being iid with those who did not? Notice that our question implies no direction. If the direction is one we want, we talk of “effects”, if not, it’s “adverse effects”. Also, because what we’ve got is a sample, that means we have a measurement gap to bridge. From our earlier discussion, it follows that, when we measure an iid population appropriately, the distribution measures error, so our interest focuses on the mean. But now, each time we measure an iid sample, that error will give us a slightly different estimate of the mean. These estimates form their own distribution, with its own average degree of variation, called the “standard error of the mean”, which can be calculated. We’ve solved our mean estimation problem, but only if we can solve our standard deviation one. This turns out to be almost trivially easy. For a sample of any size, with a mean of m, the “sample standard deviation” s is s=√Σ(x-m)²/N-1. Despite the confusing name, s is the estimate of σ from the sample. As, under iid, m is an unbiased estimator of μ, we can substitute m for μ, and so calculate SE. We’re all set. In an ideal world, we wouldn’t need randomisation. We could simply give our intended treatment to some of our iid sample, measure, and see if that group remain iid with the others. However we’ve only ensured our sample is iid with respect to our sampling criterion. 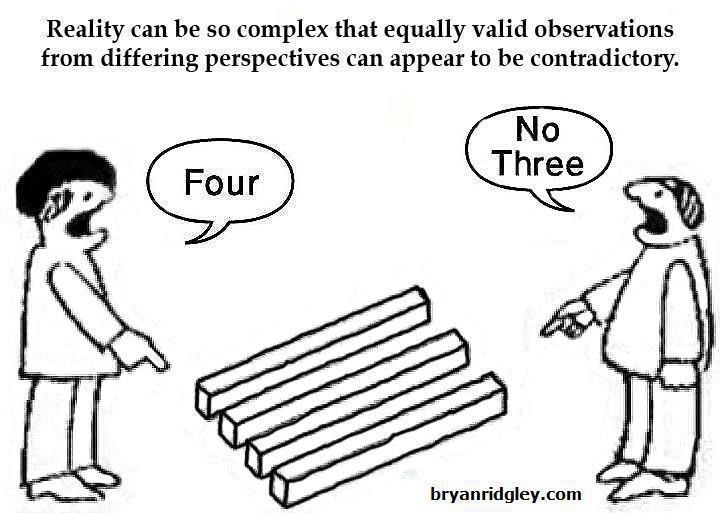 Reality is more like the diagram below. The dots show they’ve all got the same diagnosis. But, they’re different colours. In this example, we’ve only got colour to worry about. But, the very fact that we are not clones of each other means that, however carefully we are sampled, we will differ non-randomly on many dimensions: we are separated by more than measurement error. Any of these other dimensions could contribute to the course of the diagnosed disorder: epidemiology shows that they frequently do. As the randomisation process was done without respect to any dimension, the groups are iid with respect even to things we haven’t measured or recorded. Randomisation is unique in being able to guarantee this. The larger the groups, the better the approximation to iid they will be. Clinical trials following these principles are called Randomised Controlled Trials (RCTs) and are generally considered the gold standard for assessing treatments, due to their unique ability to cope with unmeasured variables. It’s actually not from a single RCT, but from what is called a meta-analysis, which groups studies together. There’s more on them below. The lowest set of bars shows that many more studies without randomisation support the benefits of homeopathy than do not, but that the balance corrects sharply when randomisation is introduced. Those reading carefully will have noticed that the last chart talked about “efficacy” rather than “effectiveness”. This is because, even with randomisation, any new difference between our previously iid groups isn’t just the causal effect of the treatment. Unfortunately, what we measure has four components. Efficacy. This is what we are after: the part of the measured difference that is due to the treatment. Random variation. As we saw above, this is an unavoidable part of measurement, and its effect can be estimated. Even so, there are some measures that are especially sensitive to its effects. For example, hospital admissions occur when things are especially bad, and discharges when they are better. Random variation will therefore tend to exaggerate differences based on these two measurement points. and the proportion of an effect caused by regression to the mean is 1-r. Clearly, the more reliable a measure, the higher (and positive) r will be, and the less regression to the mean will be a problem. 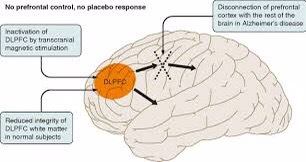 The placebo effect is not an artefact, as the diagram below shows, but a genuine psychological phenomenon, probably involving the dorsolateral prefrontal cortex. Treatments such as homeopathy, whose remedies contain no active ingredients, rely on the placebo effect for getting their results. “Blinding” means disguising the treatment in the trial, so that expectancy cannot influence our measurements. In “single blinding” the patients are unaware of whether they receive a treatment, but the researcher does know who gets what. In “double blinding” neither the researcher nor the patient knows what they’re getting. 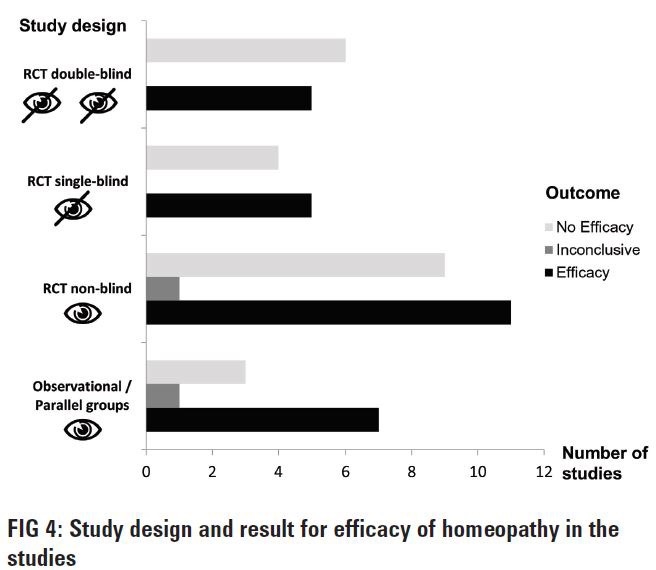 In the review of studies of homeopathy pictured above, you can see the balance between positive and negative results shifting towards negative as the level of blinding increased. Correcting for some flaw in the research design. 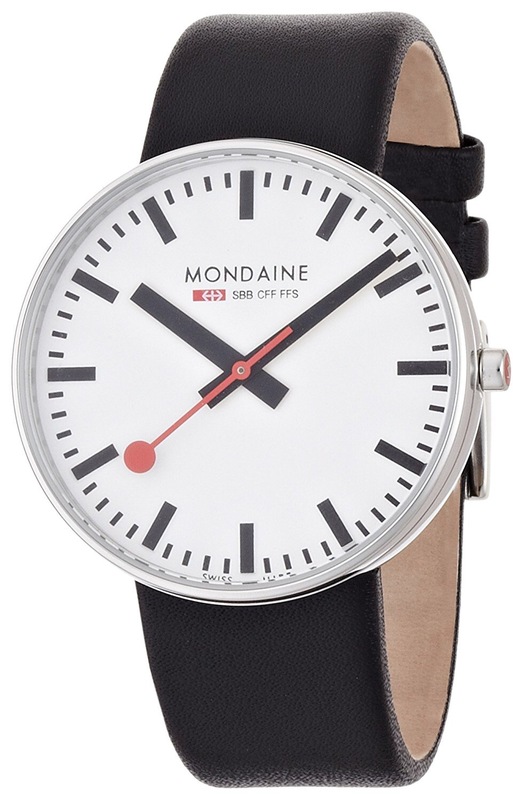 The trouble with complications, in both clinical trials and watches, is that they bring additional assumptions (not least, that they will make things better rather than worse) and possibilities of error. 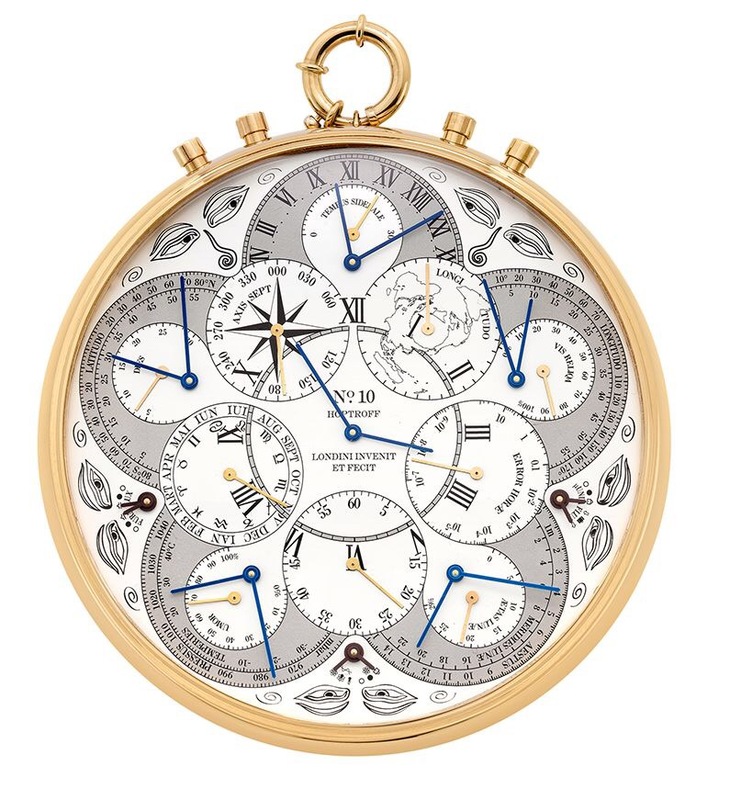 Do we really understand what all those additional dials mean, and how they relate? Nowadays, very complex statistical analyses can be run very easily on a computer. Unfortunately, understanding their subtleties has got no easier. This can be seen with a type of clinical trial called a cross-over study. Doesn’t look too complicated, does it? 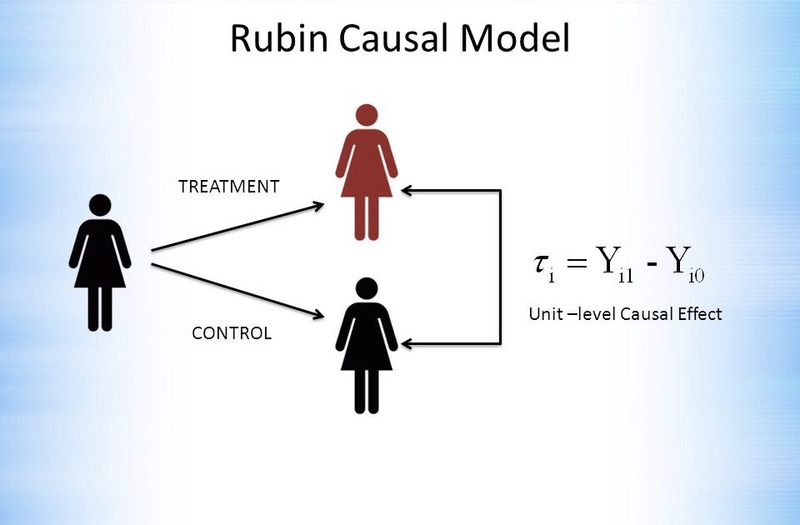 The advantage of a cross-over design is that each subject can act as their own control, thus bringing us closer to Rubin’s ideal. The disadvantage is that even major journals can fail to identify errors in the analysis strategies used. So, the more complex the analysis, the more carefully and clearly it should be explained. If the explanation doesn’t seem to make sense, it might be because it doesn’t! Even charts can be misleading, if they’re not read carefully. Here’s some charts from a study (not an RCT) comparing two forms of psychological therapy in depression. While not mentioned in the paper, counselling has been traditionally understood to be more appropriate for people who are struggling, but whose difficulties relate to specific life problems, that might be expected to resolve. Even experienced psychologists have been known to misinterpret the lower chart as showing patients with counselling getting worse relative to CBT. However, the upper chart shows that counselling, as predictable from its customary use, seems to have a preferred number of sessions, (around seven), while the continuous lines used in the lower chart are misleading. Checking the Y axis makes clear that there are different groups of subjects represented at each time point, so the lines joining them should not be interpreted to suggest continuity. What the chart shows is that a smaller proportion of people in counselling recover than people in CBT, when the number of sesssions attended rises beyond seven. Read some statistics textbooks, and it would be easy to think that the way to proceed is to look at the data to get an impression of what it might be telling us (that’s called exploratory analysis) and then decide what we’re going to do. For clinical trials, that isn’t a good idea. The reason is easier to understand if I use an analogy. Think of our treatment as an arrow, and the centre of the target as a cure. 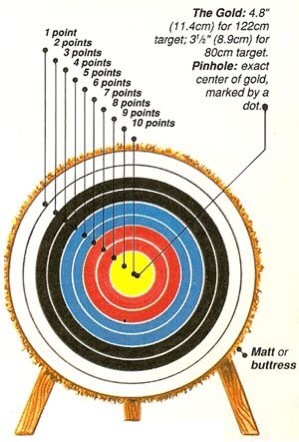 A clinical trial should tell us where on the target the arrow has landed. In this context, exploratory analysis is like us test-firing the arrow a few times, seeing where it lands, and positioning the target accordingly. In itself, that’s not a bad thing, and is why we often pilot before undertaking a trial. But, here, we are using the same data from the same sample. 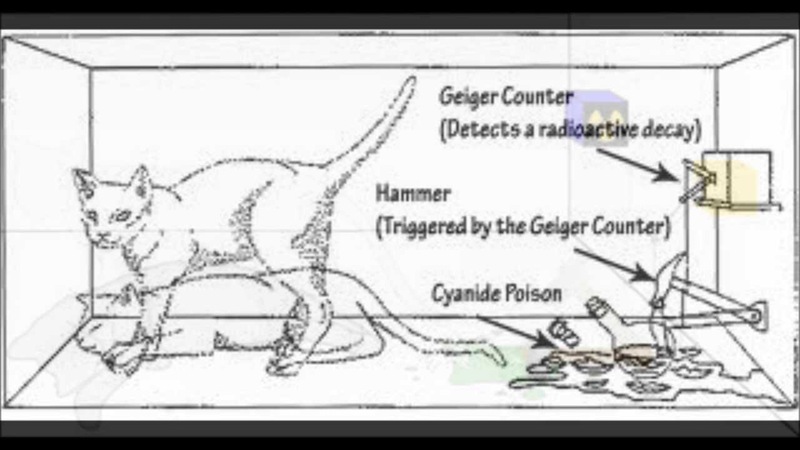 Clearly, moving the target means we can no longer claim that the difference we find reflects the impact of our treatment This kind of analysis is called a “post-hoc” analysis. It can be useful in identifying other possibilities and potential areas for study, but to avoid post-hoc target moving, analyses in clinical trials need to be pre-planned. Nowadays, there are registers of clinical trials, which allow readers to check back and see if what was published matches what was registered. Putting everything together that we’ve covered so far, we are now in a position to set out a set of seven simple yes/no questions we should ask when ourselves when reading a clinical trial. 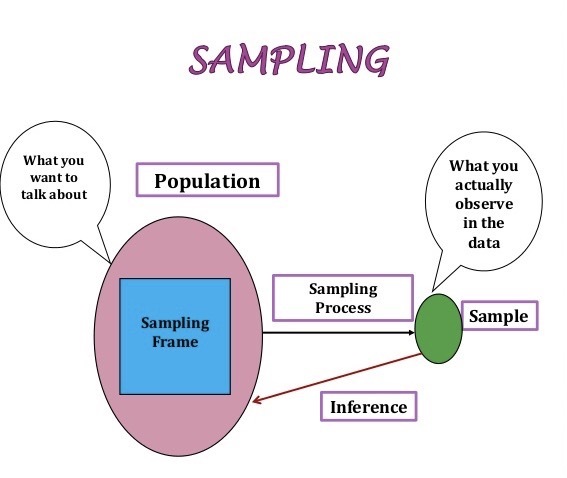 Has the sampling frame provided a sample that is convincingly iid? Have the groups been properly randomised with respect to each other? Are the randomised groups large enough to be convincingly iid with respect to each other? Do we know how valid and reliable the measures are? Is there a simple analysis that shows whether the groups are different or not? When using this list of questions, a “don’t know” should be treated the same as a “no”. In general, the fewer questions we can answer “yes” to, the less we should trust a clinical trial’s claims about the treatment it is investigating, and the more corroborative evidence we should seek. Let’s apply these questions to the study on comparing counselling with CBT we used as an example above. which suggests that the sampling frame they used did provide an iid sample. It’s a “yes”. That’s a clear “no”. As the groups weren’t randomised, we can’t be sure they were the same on unmeasured variables. As discharge is driven be either patient recovery or desire to continue, then, given the charts, it seems likely the two groups weren’t. Despite my example with the charts above, there is such an analysis in the study. 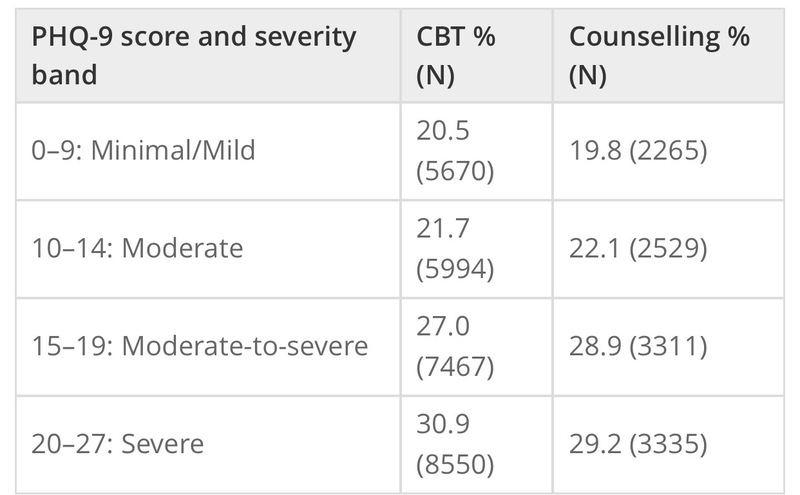 It reported 46.6% of patients receiving CBT improved, versus 44.3% of patients receiving counselling, if the patients met diagnostic criteria at outset. The comparable figures, including also people who did not meet diagnostic criteria, were 50.4% vs 49.6%. We can now see how misleading those charts were! We can see that our questions don’t return a clear “yes or no” answer to how much trust we should place on the study. My own take home messages are that counselling and CBT might be best for different patients, but neither is going to get more than half of those they see better. The trial has reported its results were significant. What does that mean? Years ago, that statement was synonymous with “Yay! It works!”. We now know better. Let’s think about a very simple RCT, with only two groups, one treatment, and one outcome measure, with an interval scale. In this context, the term is short for “statistically significant”: after the treatment, when we measured the means of the two groups, they were sufficiently different to say that, even allowing for error, there was a less than 5% chance of them being means of the same group, so the groups were no longer iid. This 5% limit has been arrived at by custom, but if we look back at where it cuts the normal distribution it’s outside most of the mass of the distribution, so it kind of makes sense. However, if we look back to how the standard errors of our two means are calculated, then we can see that they will shrink the more cases we have. At very large numbers, we will be able to detect tiny differences: statistically significant, but practically pointless. What we need is a measure of what is called effect size. For our example, the difference between the two means, measured in standardised deviations, the “standardised mean difference” (SMD) works well. The table below gives some ways of interpreting it. Most treatments available in Mental Health that have been tested by RCT have an effect size (SMD) between 0.5 and 1.2. This is pretty average compared to equivalent treatments for physical conditions, but does show that we should not expect even our best treatments to work all the time, and we need more than one treatment for any condition. Thinking back to our example study, the 50% recovery rate can be related to the 4th column (none were recovered before, around half were afterwards, so the BESD was around 0.5), and equates to an SMD effect size of 1.2. However, the lack of blinding, and the use of “admission” and “discharge” endpoints are all likely to have inflated this figure, while lack of randomisation will have had an unpredictable effect. We have derived our concept of effect size as standardised mean difference from the normal distribution. However, even when our outcomes are a simple yes/no, we can calculate a SMD from it. This has been very useful when combining studies together, which is our next topic. A meta-analysis is not necessarily better than a well designed single clinical study. The reviewer decides the studies can’t be meaningfully combined, so writes a narrative review of the different stories they tell, and explains why any combination won’t work. The reviewer decides the studies (or at least some of them) can be combined as if they were one big study. The processs of doing this, and interpreting what comes out, is callled meta-analysis. Whether the studies can be combined will depend on the extent they can be considered iid with respect both to each other and the population, and that’s a big ask. To solve this problem, we assume that better designed studies about the same thing are likely to resemble each other more, as there are always more ways of being wrong than right. So, when reading a meta-analysis the first thing to check is how they decided which studies to put in. A lot of scholarly activity has gone into designing good criteria, such as these. The chart of studies of homeopathy shown above indicates how much including studies of different quality can change results. We can check whether the studies are sufficiently similar to combine statistically, when it’s called study heterogeneity. Here’s a graphical example, which helps explain what it means. The horizontal axis reports the percentage recovered in the control group, while the vertical axis does the same for those receiving treatment: this is a way of looking at BESD correlations. The diagonal line splits the chart into two halves. For anything in the upper triangle, treatment is more effective than control, while the reverse holds for the lower triangle. The studies form a reasonably tight group, suggesting similar BESDs, supporting the view they might be regarded as iid. The dashed line is the best straight line we can draw through all the studies. We can see that the two big studies (the largest circles) have dragged the line firmly to the left. If they were both from the same group of researchers, a reviewer might want to look at them more closely. Another source of bias is called the “file drawer” problem: studies that give negative results are less likely to be published. One way of detecting this is by a funnel plot, as shown below. The horizontal axis measures the effect size (SMD), as discussed above. The vertical axis measures the standard error of each study. The analysis’ studies are all plotted as points on the plot. The two straight lines forming an isosceles triangle (the funnel) are either edge of the boundary of the 95% standard error of the effect size for a given standard error. The apex of the triangle is set at the average effect size the study calculated. The central vertical makes it easier to read. This is from a real meta-analysis of talking therapies for adult depression. From what we’ve covered above about effect sizes and standard errors, we’d expect the dots splattered pretty evenly around the divided triangle, but that’s clearly not happened here. In this analysis, a positive effect size favours treatment over control. There’s a general trend for there to be more studies than expected with results greater than the average effect size, and there is a serious dearth of small studies (larger standard errors) with less than the average effect size. People aren’t publishing small studies with small effects, but are if they have large effects, and even large studies won’t get published if the effect is sufficiently small (or negative!). The average effect size calculated by the researchers has actually been corrected for this bias prior to the plot being drawn, which is why we can see the effect so clearly. Meta-analyses usually use fairly standard methods of displaying their results, but we need another concept to make sense of them. It’s actually been here throughout the blog, lurking in the background. In both the charts, our sample means are shown by dots, with their 95% confidence intervals as the lines stretching out either side, called error bars. The first chart, a, shows our not amazingly successful attempts to sample the population distribution at the top. Two of our samples, indicated in red, have 95% confidence intervals that do not cross the population mean. This has actually happened by chance, and the width of our error bars tells us we have been trying to use small samples. As we have seen above, the smaller the sample, the harder it will be to keep it iid with its parent population, particularly one as scattered as this distribution. The relationship between our confidence intervals and sample size is shown in chart b, with the widths of our error bars decreasing as the sample sizes used to estimate them increase (yes, that’s what makes the funnel in a funnel plot). We can now say what meat-analysis is trying to do, and it’s gratifyingly simple. Meta-analyses try to estimate both the mean and the 95% confidence interval of the treatment effect from the combined iid studies. 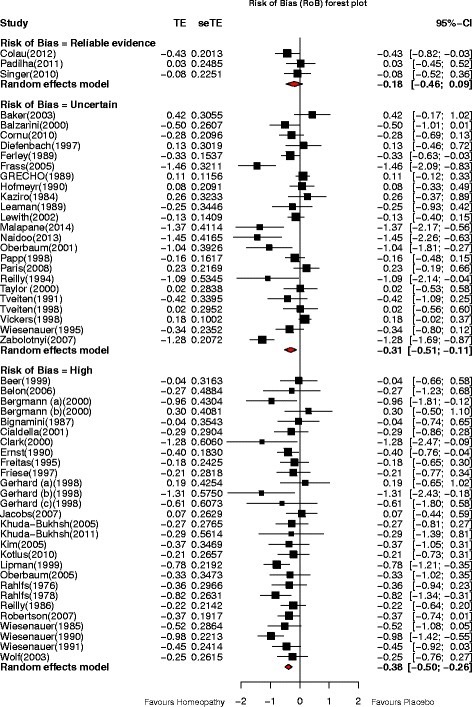 Let’s have a look at a similar plot (they’re called forest plots) from a real meta-analysis, also about homeopathy. 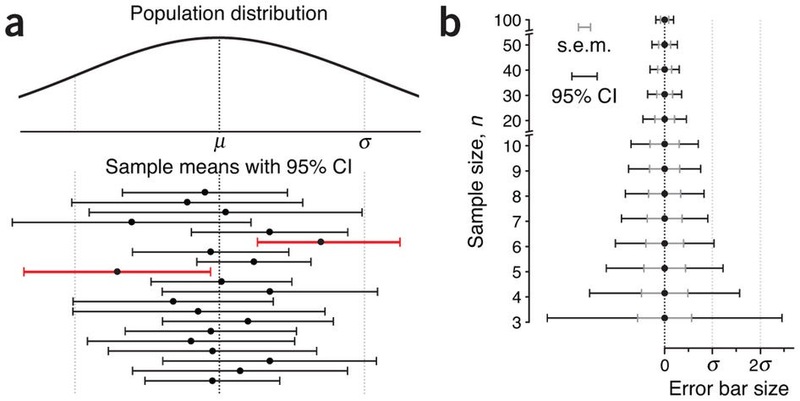 As shrinking error bars with sample size make smaller studies more visible, the mean treatment effects of each study have bean displayed as black squares whose area is proportional to the number in the study’s sample. The meta-analysis’ contribution is the set of three diamonds below each column of studies. The vertical points of the diamonds are aligned with the average treatment effect, while the horizontal points define its 95% confidence interval. We can see that this meta-analysis is making the same point as the previous one about homeopathy: as our control of possible bias gets better, so the effect size reduces: we can now see that, for the best studies, we cannot be confident that there is any effect of homeopathy at all, as the top diamond crosses the “no effect” line. We can now put together a set of 7 questions to help us evaluate a meta-analysis. Are there enough similar studies to do a convincing meta-analysis? Have the studies been adequately screened for quality? Have they described how they addressed heterogeneity? Have they addressed publication bias? How big is the average effect size? Does its standard error overlap the “no effect” line? As we can see, there is no guarantee a meta-analysis will always provide better treatment data than a well designed RCT. Let’s start by looking at what meta-analyses can do. If we compare the results of the meta-analysis of talking therapies (effect size around 0.5) with the large non-randomised comparison of CBT and counselling discussed earlier, we can see that less than half of the overall treatment effect (1.2, remember) is down to efficacy (our definition of variance, discussed above, lets us claim things like that). That doesn’t mean the therapists should give up and go home: the non-specific effects that are doing so much to get the patients better may well be embedded in the service, and would also disappear if the service was removed. However, it does tell us that, if around half of everybody is getting better with therapy, offering even more therapy is unlikely to change things much. It also tells us that therapy should remain an option: checking our table above shows a 0.5 effect size is still valuable. Now let’s think about what they can’t do. 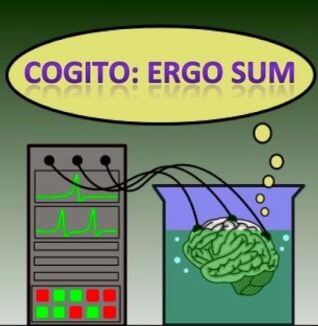 Combining studies, as we’ve just seen, can add a whole new layer of error, and lots of additional assumptions. Large, biased studies can distort their results, as can hidden studies with negative findings. Meanwhile, lots of small studies introduce noise and unpredictable extreme results, as the smaller they are, the harder it is for their comparison groups to be iid with respect to each other. Because of how meta-analysis works, these errors propagate through the calculations. 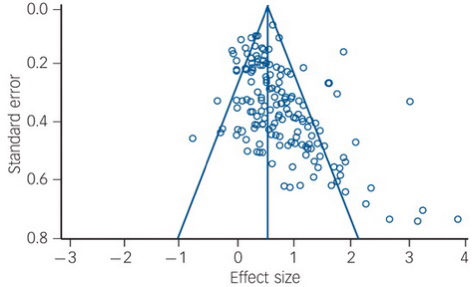 This means that a meta-analysis can never equal a single well-designed RCT of equivalent size. However, very large RCTs have their own problem, like cost, so the current system of using both as appropriate seems best. In the end, they are just different ways of answering the same simple question: does giving a treatment make a measurable difference?